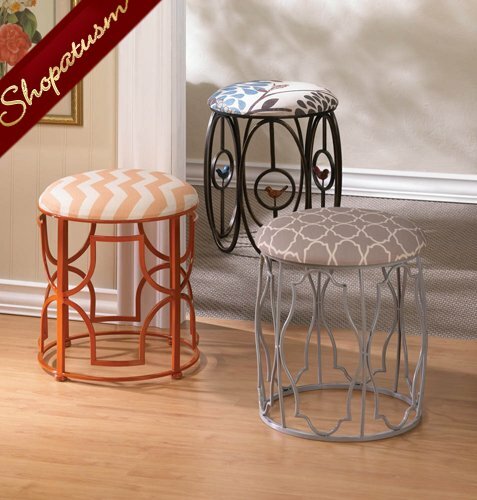 Moroccan Inspired Stool with Exotic Geometric Patterns Cushion from Shopatusm. 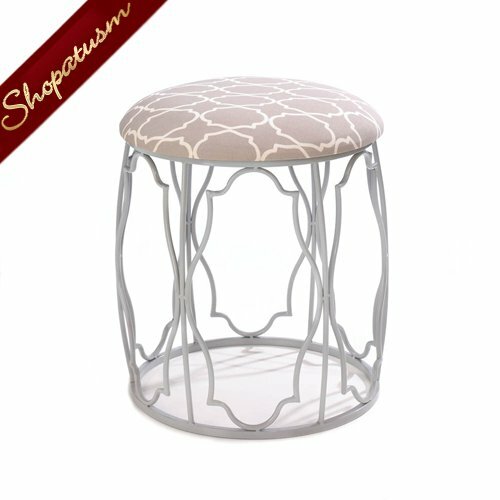 This gorgeous Moroccan-inspired stool combines style with grace and cool with comfort to create a striking and functional room accent. The metal framework features exotic geometric patterns that mimic the pattern on the padded linen seat. Item weight: 6.2 lbs. 16 1/4 inch x 16 1/4 inch x 18 inch high. Iron, linen and sponge. Spot clean only.